Artistic director Andrew Watson says creator Franco Dragone starts out with a feeling, a phrase, a single word. 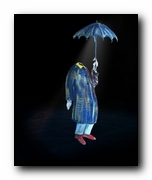 With "Quidam," he began with the idea of each person's individuality despite the appearance of anonymity in a crowd. "When we sat down in the beginning," explains Mr. Watson, "we had become aware of enormous numbers of displaced people - and these groups of people have names to describe them: 'the homeless' or 'the refugees.' But these groups are all made up of individual people who have their own histories, who have their own lives - yet in our eyes they are all lumped together. So at the top of the show, the family is dispersed, and everyone is in white. Bit by bit we discover each other as individuals." 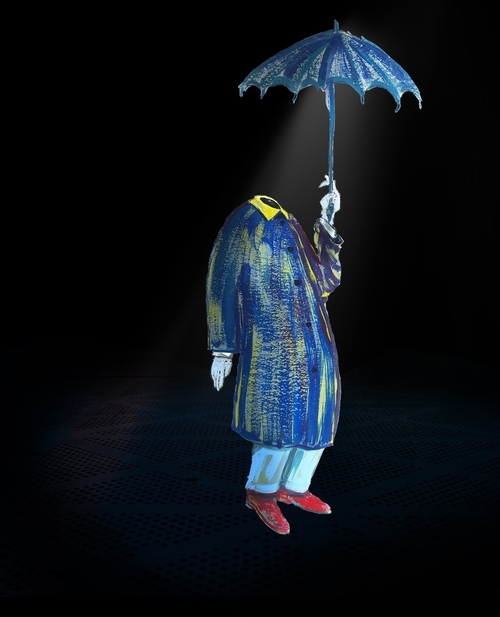 Other influences included the Belgian painter Rene Magritte (obvious in the show's art work, depicting a headless man standing against a brick wall and carrying an umbrella) and the work of French photographer Robert Doisneau. In pictures such as "The Kiss (Hotel Du Ville)," Doisneau managed to take a group photo, yet focus the viewer's attention on a single person. "You'd see a whole group - he'd zoom in and suddenly, you'd see out of the group - that everyone down there has their own story," he said. Such is the goal of Quidam. 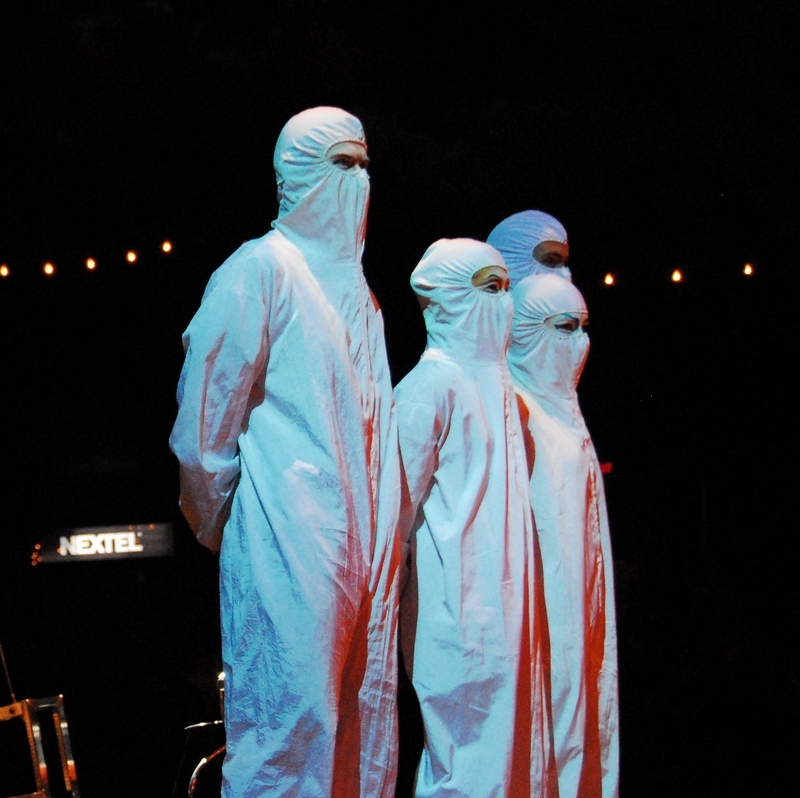 Inspired by surrealist art, the costumes of Quidam convey the alienation of the characters inhabiting this dark-looking world. The costumes' patinated textures and fabrics mimic the myriad colors of the urban landscape. The dominant color - grey - is enhanced by deep, rich, warm colors embellished with flashes of metal. At the start of the creative process, costume designer Dominique Lemieux explored the many worlds of everyday life. 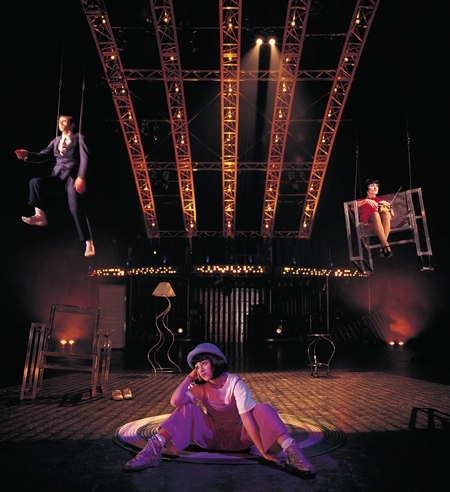 The fabrics and textures used in Quidam reflect the variegated hues of a megalopolis inhabited by street people. 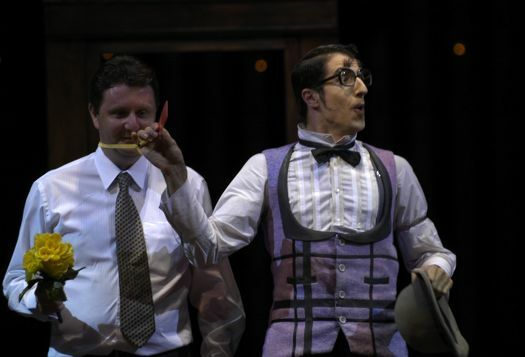 Working in close cooperation, the costume designer and the director have created characters and costumes that reflect the performer personalities. Guided by the need to present each performer as a unique individual, Dominique designed approximately 250 costumes (500 costume items, 30 hats, 20 real-hair wigs and 200-300 hand-painted shoes) that let the personality of each of the performers come through. 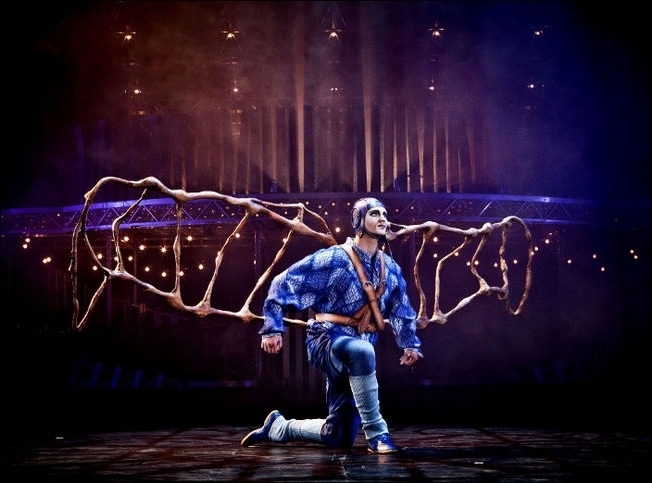 Quidam is the first show to use everyday clothing, though adapted, in its acrobatic acts. The broken colors used for the costumes - from blue to pink tones - create a dramatic effect and add to the show's gloomy overall atmosphere. The basic material used for nearly all the costumes is stretch linen - an innovation that gives them a worn look. Eighty percent of the fabrics used in the show’s costumes are custom dyed. These fabrics are usually white and are hand-dyed and printed in custom colors shop. Basic costume and lining materials include leather, jute, linen, crepe, wool, velvet, Lycra, and 42 varieties of silk and 30 varieties of cotton from England, France, Italy and California. Around the world, fabrics have been woven and knitted to the specifications of Cirque’s Costume Workshop. They were then processed by dyers using a number of dyeing, printing, airbrush, and tie-dyeing techniques. Zoë is an average little girl. She is bored, yet curious, and she longs for the fun and excitement she believes lies just beyond her reach. 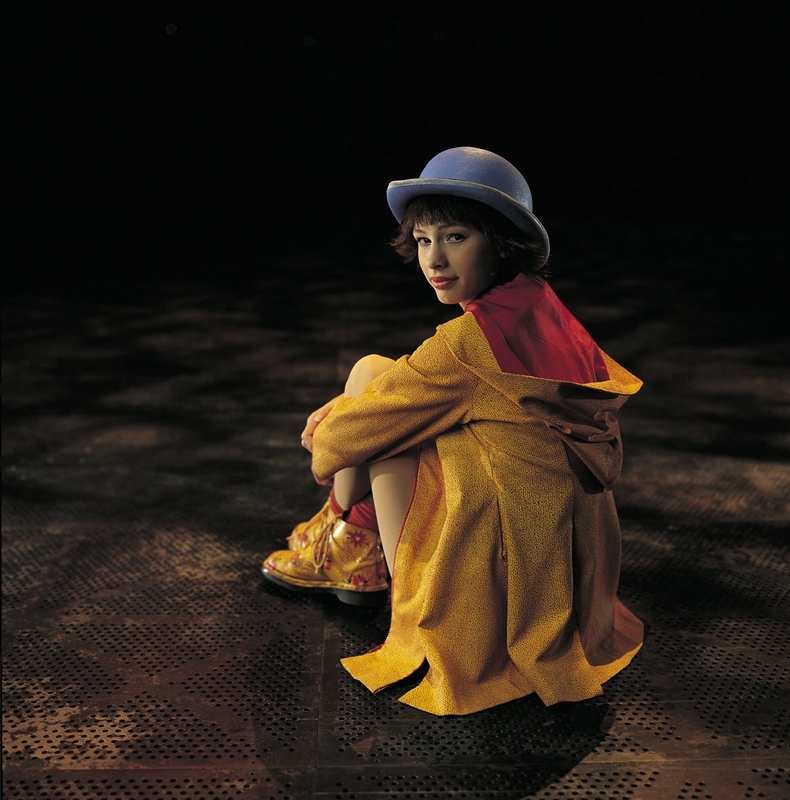 When her parents ignore her, she suspends them “for a minute or two or three.” She is frustrated and disillusioned and becomes swept up into the universe of Quidam. Lost admist a world where she finds no meaning, she meets characters who encourae her to free her soul. Zoë's Mother conveys an air of abscence and alientation. Inside her lie fear, frustration and desire but she will soon rediscover the intense feeling of being alive through pain and courage, play and love. Lost behind his newspaper, ensconced in his den, Zoë's Father is completely, though unqittingly, self-absorbed. His white shoes are the only indication of a hidden personality. He will eventually open his eyes and realize what he's been missing around him, coming to find himself among his family and loved ones once again. With his tragically spare hairdo and comically svelte frame, John is a different kind of ringmaster. 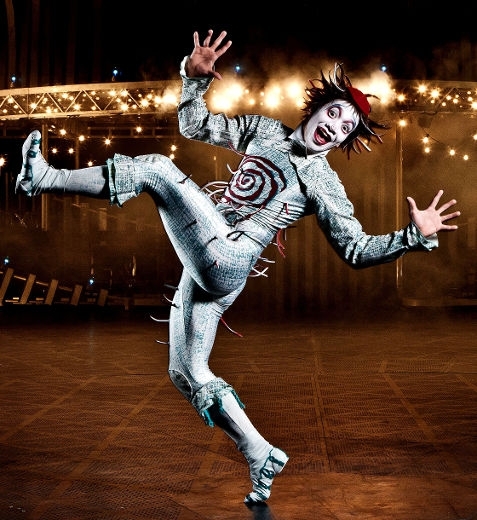 Part game-show host and part substitute teacher with his own renegade lesson plan, he is our eerie yet charming guide through the world of Quidam. A circumnavigator on a mysterious journey. The Target is a living, human bulls-eye (possibly the personification of the carpet on the family’s floor, which has the same design), fired at by everyone, left vulnerable perhaps by a gentle nature and kindness, ironically remaining light-hearted and happy – answering to everything with a smile. “A sweet, but frantic romantic” who can “fly with ease from the highest trapeze.” With an infinite smile and moving with grace, he chooses to live in empty space, present and absent at the same time, a companion to the lost girl for a little while. 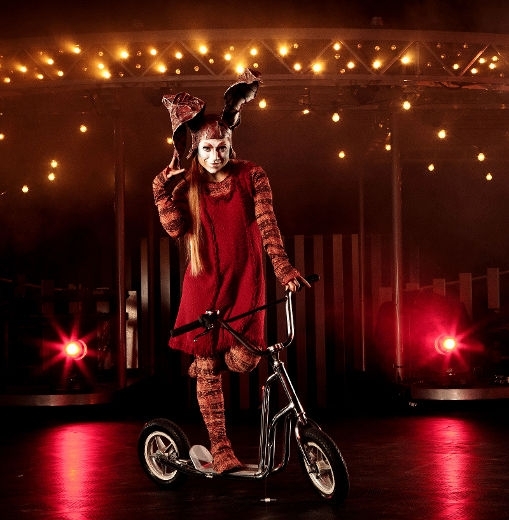 The Quidam may have stepped out of a surrealist painting or been conjured up out of Zoë's imagination. He is anonymous-he is everyone, and, at the same time, he is no one. 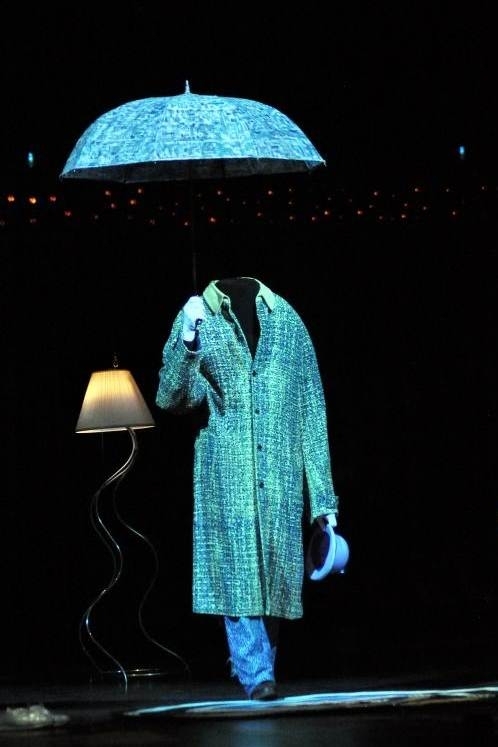 The hat of the "quidam" has become an emblem of the show: to wear someone else's hat is to open one's eyes to another person's reality; to accept and understand that person - to give that person a voice. 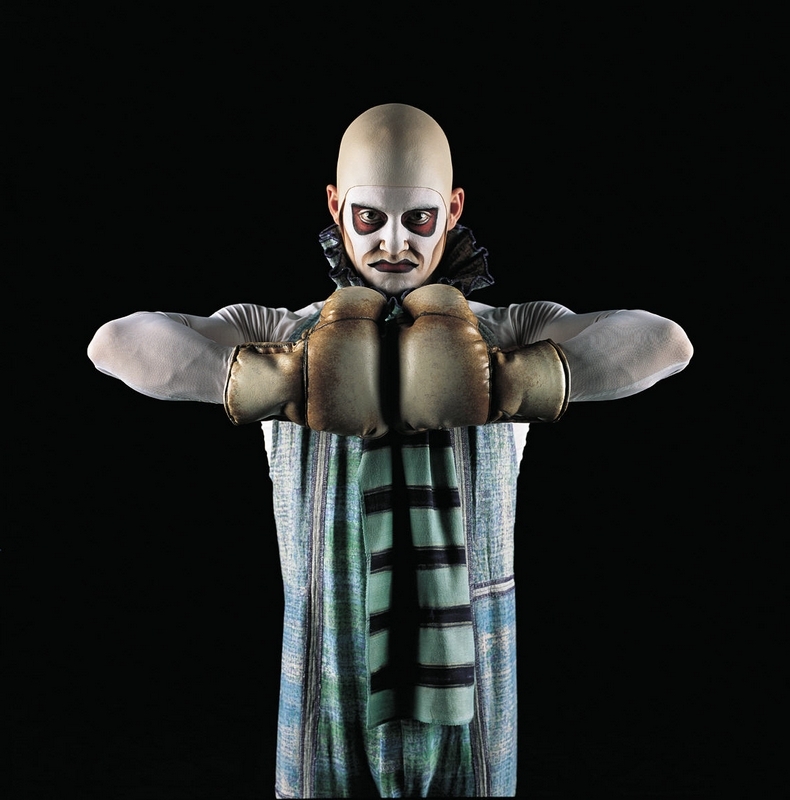 Boom-Boom, a bald guy with gloves for hands, is aggressive and physically fit. He brings forth the rumble of thunder and the flash of lightening with just the clash of his hands, showing us some of the more unpleasant sides of Quidam though protecting us at the same time. His ear piercing roars of disgust will grab your attention. And yet, he is lifeless, as though his body lives on only because his soul refuses to leave it. 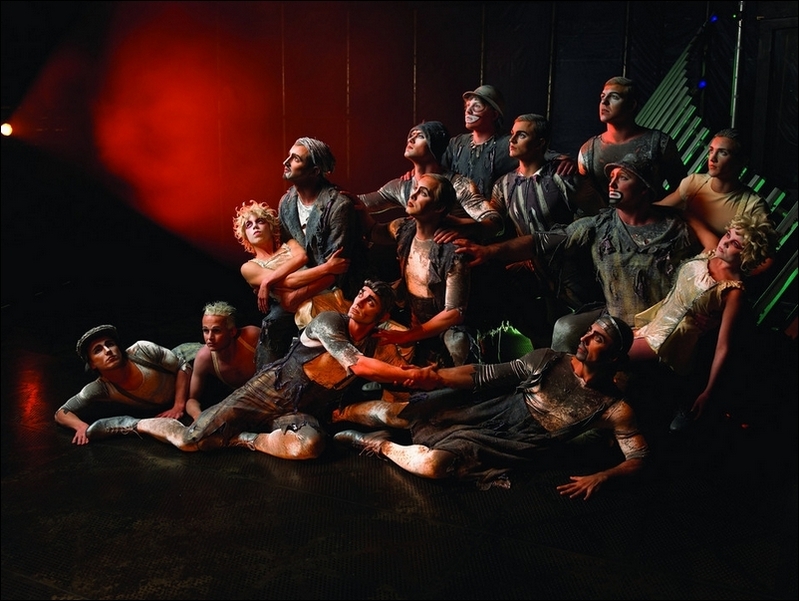 Les Égarés are lost individuals who gather together in the streets and abandoned buildings of Quidam. They sublimate their suffering, transforming it into something magical and inspiring. The silent chorus, the nameless and the faceless; the dehumanized, mechanical crowd, simultaneously leading and following. The Aviator has skeletal wings, but doesn't look quite ready to take off. Perhaps he doesn't know he has wings. Perhaps he knows, but can't fly. Perhaps, like Icarus, he has tried and failed. Or perhaps he simply wants to escape this world and its problems. A female looking for love all the time! Plays, and likes to tease. Never knows if the one she has is the good one, so she goes to someone else. Chases and gets chased by other characters. “A genius in ecology, lovey-dovey, and astrology.” Has no tail, and each ear is twice the length of her head! Her costume is essentially made of wool, while its ears are made from newsprint. 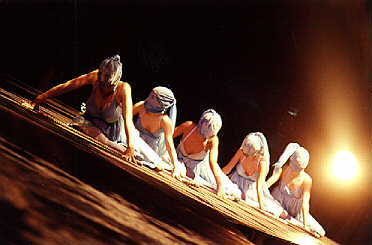 A small number of veiled women take the stage during the Cloud Swing performance. While the artist is above them swinging precariously by her rope, these women are also... twisting and tying ropes around their necks. 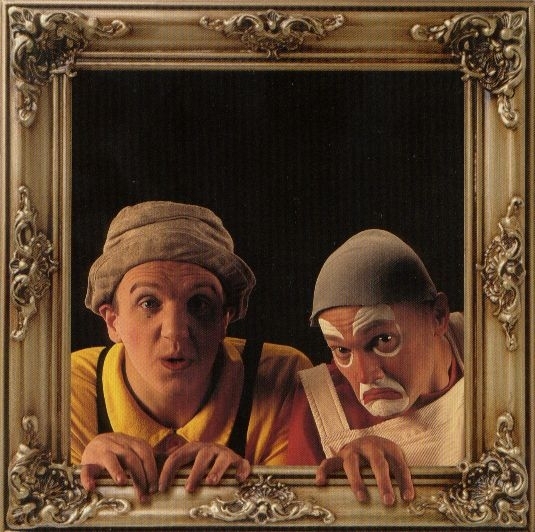 For most of the First North American Tour (1996-1998), the surreal world of Quidam was populated by Alosha (Alexey Mironov) and Kotini. 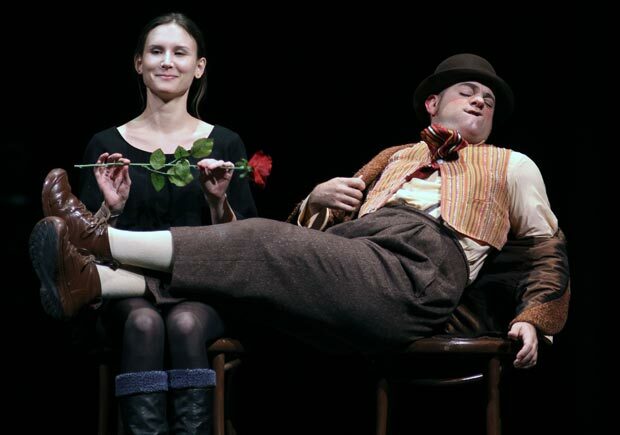 Kodini, the Red Clown, was a crotchety, mean old soul who didn't seem to care whose feelings got hurt by his antics. He tormented Zoë throughout most of her journey, but saw the error of his ways in the end (becoming her friend.) He was easily recognizable; he walked with a limp and was downright gloomy. Alosha, the Yellow Clown, in contrast was likeable enough, but not too bright. 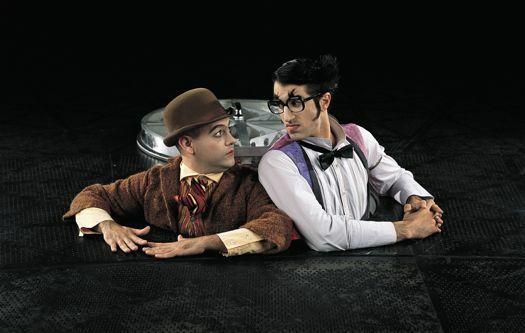 Together the two were crude and sometimes unwanted, but found a way into the narrative of Quidam never-the-less. 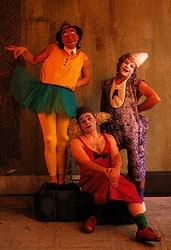 Guy Pannequin, Alain Cantonne, and Philippe Azoulay of France - are most remembered for being the comedic trio featured on Quidam's DVD, but they were also the first clown act in Quidam. 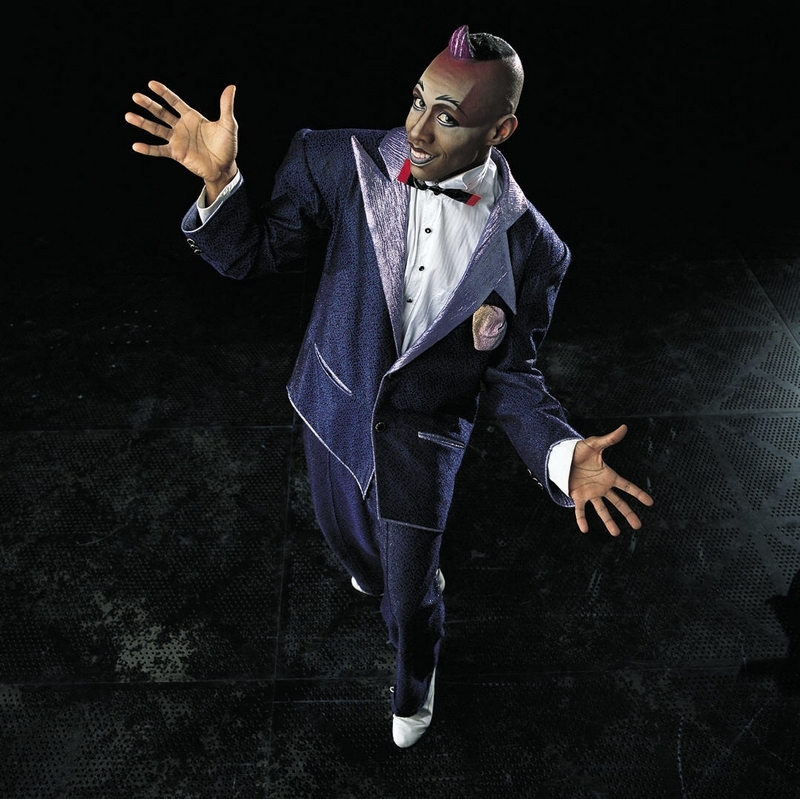 Les Macloma actually opened Quidam in Montreal and continued touring with the show through its initial steps in the United States (at least up through Costa Mesa, California - March 1997) before turning over the clowning to Kotini Jr and Alosha. 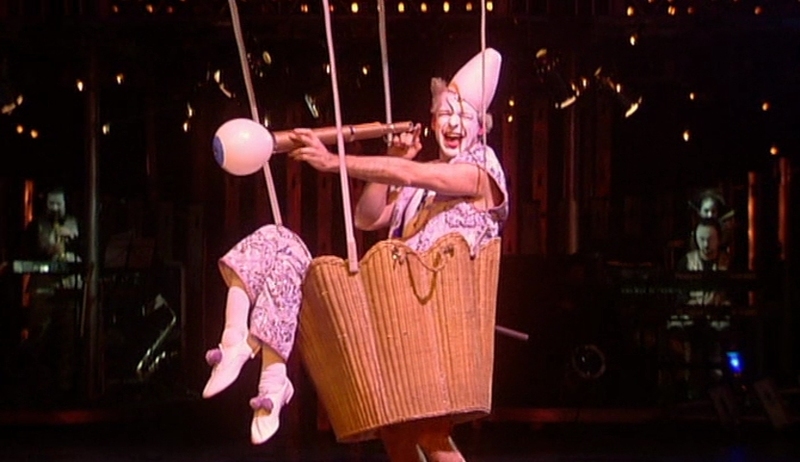 Once the show hopped shores and began touring Europe however, Les Macloma's brand of clowning returned to Quidam and remained for another four years. The clowns Red, Yellow, and White, were a wondrous sight to behold and their antics - from floating around the stage in hot-air balloons made from cardboard boxes to playing musical notes on inflated balloons and a one-string violin - were no less... antic! ("Ragazza!"). 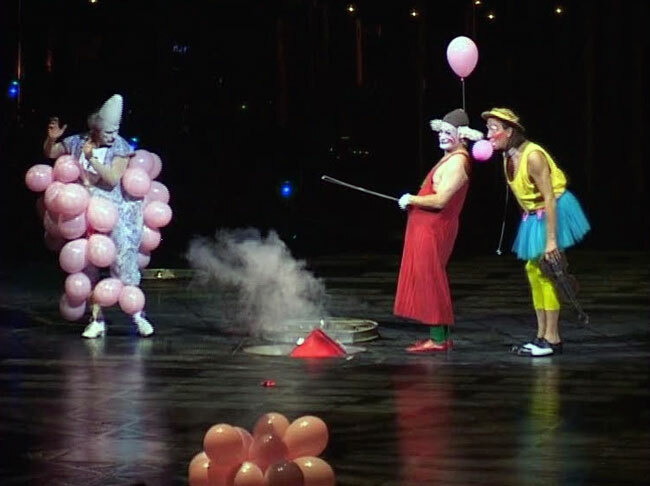 In 2002, Les Macloma semi-retired from Quidam but their antics lived on through Les Frères Velasquez (Marie-Élizabeth Cornet, Gabriel Chamé Buendia, and Begoña Gomez; North America II, 2002-2003) and Les Don Quijoles (Gabriel Chame Buendia, Joshean Maulvon, and Royo; Japan, 2003-2004), trios who built upon the Les Macloma legacy by performing their comedic skits.